Sport-Tiedje puts each fitness equipment through its paces. Then our team of sports scientists, serious athletes, and service technicians of many years of experience evaluate the products of different categories. Compare easily the products using the Sport-Tiedje expert review and find your appropriate equipment. The equipment includes, i.e., the brake system providing a comfortable workout motion. In combination with the training pc, precise resistance adjustments and diversion while exercising are made possible. Transport wheels, bottle holders, pulse measuring are extras increasing training comfort or effectivity and contributing to a good evaluation. A sturdy frame construction, high weight, and safe stastand provide stability of the ergometer. A stable ergometer has a higher weight load capacity. Frame and handlebar are less loose for higher training intensities, the ergometer is more durable. Besides the transmission ratio, the balance unit contributes to the concentric run. It consists of balance mass, pedal bearing, ball bearings, etc.. The better the concentric run, the more joint-gentle becomes the workout. An ergonomic construction of the rgometer prevents signs of tiredness and physiological bad postures. Details like adjustment of saddle and handlebar, a low entry, pedal sapce, and general construction of the machine provide good ergonomics. The model year describes the current model of the respective season beginning in autumn of previous year. The descriptions are not absolutely based upon a change in product or year of production. Note: This product is a professional training machine for the commercial fitness market. The bike is delivered pre-assembled in a box and the final assembly needs to be done by two persons (approx. 30 to 40 min). The Life Fitness indoor cycle IC5 Powered By ICG combines innovative design with high-quality, mechanic components. This premium bike allows for an almost maintenance-free use thanks to its belt drive in combination with the first-class magnetic brake system. The Life Fitness indoor cycle IC5 Powered By ICG offers you a first-class cycling experience and renders a real cycling feeling at home. The complete product portfolio is continuously developed and improved according to latest sport-scientific knowledge - which is of a great benefit for you as a cyclist. The Life Fitness indoor cycle IC5 Powered By ICG mainly collects points with its comfort. This indoor cycle offers a multitude of different adjusting possibilities. You have the infinitely variable adjustability for the horizontal as well as for the vertical direction. It makes an ideal posture possible during your sessions. The comfort is completed by the Unisex brand saddle, which offers you a perfect sitting comfort even during longer training sessions. The handlebar's design with different grip varieties and the ergonomic end caps offer you the best possible grip possibilities for each session. The grips are made of a Soft PVC, which promisses the perfect grip even when the hands are wet. The handlebar's design is completed by the dual cup holders, which guarantee the perfect holder for your liquid supply. The materials used for the Life Fitness indoor cylce are especially designed for the enormous load. They resist optimally even high resistances and cadences. The perfect concentric run of this indoor cycle is driven by a Poly V belt. This industrial belt guarantees a maintenance-low training even at high loads for many years. The WattRate® LCD computer is equipped with a fully integrated LCD display with on-demand backlight. A LED indicator above the display offers the additional possibility to use the Coach By Color®. The different screen displays include a multitude of important training data like Watt, heart rate, cadence, training duration, and resistance level. Five sensor buttons present a simple and intuitive navigation even during the training. Via Bluetooth and ANT+, it is now possible to exchange important training data with external devices (among other things, ICG® Connect & ICG® Training App). For further information on the warranty, please refer to the manufacturer's terms of warranty. The manufacturer's warranty is an extra service and does not affect your statutory rights. The scope of warranty for home use includes private use of fitness equipment in a private household. Detailed information can be taken from the warranty conditions of the manufacturer. A semi-professional use is given, when the fitness equipment is used in instutitions like hotels, schools, clubs, or for rehabilitation, company fitness, etc.. The warranty for professional use concerns fitness equipment at public, commercial institutions (i.e., gyms). Write a product rating now and win a gift coupon of 500 € or the refund of the paid purchase price. The choice is yours! Help us and other customers with your personal product evaluation. Report about your experiences with the product now. All product evaluations, which are entered until 30.06.2019, participate automatically in the raffle. * In order to participate in the rating raffle, entering the email address for winner's notification is absolutely required. Your email address will not be published. and not the process of buying or the dispatch. Please enter your review about your purchased product here. Get the possibility to help other customers with your experiences to make a purchase decision. Desribe only the product and not the buying process. Please describe the advantages and disadvantes of the product. Please be objective and keep to the facts writing your product evaluation. Please evaluate the features of the product (i.e., workmanship). Details about use or usage possibilities are also interesting. An appropriate wording strengthens the credibility of your review. As expected from Life Fitness, a great spin bike. Quiet and smooth. The only shame is that one single screw was missing but I hope to be able to get a new one from customer service. Ein super Indoor Bike, für den privaten Haushalt alles was man braucht. Bei der Verarbeitung wurde auf Qualität geachtet. Ich kann das Produkt nur empfehlen. Taurus Protective Mat size XL In stock! Life Fitness BYOD Tablet Holder In stock! 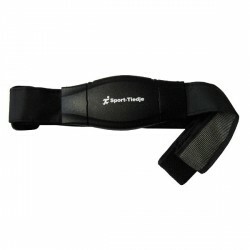 Comfort chest strap Sport-Tiedje Premium In stock! Polar Bluetooth heart rate chest strap H10 In stock! Polar Wearlink H7 Bluetooth heart rate sensor with chest strap In stock! cardiostrong Gym Towel In stock! 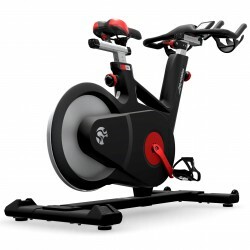 Life Fitness indoor cycle IC5 Powered By ICG add to comparison list. You do not have any articles on your comparison list. Choose a second equipment to start product comparison. Click on Compare to compare chosen products. Meet us at Facebook, Google+, and Co.
1) only for payment by SOFORT Banking, PayPal, Cash on delivery, Credit card. 2) Our forwarder delivery guarantees delivery of goods as "curbside delivery".